Siemens Cerberus PRO fire protection system has been installed in a number of significant healthcare building projects around the UK. Cerberus PRO offers true open protocol capability, so it can integrate smoothly with existing building management systems, making it ideal for refurbishment and upgrade projects as well as new-build. The true open protocol platform also saves around 50% on initial costs of installation against proprietary platforms. From the fire-safety point of view, Cerberus PRO also provides features that offer peace of mind for building managers and fire safety officers. Siemens Cerberus PRO can virtually eliminate false alarms. The cost of false alarms is rising, as a growing number of fire brigades around the country are charging for false alarm callouts, even for public sector buildings. A further benefit of Siemens fire protection, and one which makes it unique in the UK market, is that it continues to offer protection even if the main processor fails. Should the main process fail, the system still continues to detect fires, evacuate the building, operate the interfaces and importantly call the fire brigade. Users can be confident that they comply with both BS7273 part 4 and BS EN 54-1,2 and 13 when using Cerberus PRO. With new legislation on fire protection being introduced regularly, building managers need to be aware of compliance issues with their systems. For example, the most recent development has been the introduction of the UK Construction Products Regulation (CPR) which came into force on the 1st July 2013 across the whole of Europe including the UK. From that date all new products introduced to the market require CE certification and marking. The new rules replaced the Construction Products Directive (CPD), but any certificates of conformity issued under the CPD are still valid and products do not have to be re-certified under CPR. The CPR has been introduced to give clear information on the performance of all construction products. To comply with the CPR, fire detection and alarm systems must be certified with the European standard EN54 by an authorised certification centre. It is therefore important to check that any new products carry the CE mark, as the entire Cerberus PRO range does. We recently attended a talk where the speaker said that most people can transfer or be transferred to a ‘standard evacuation chair’. Who should make this decision, the person with the disability, the university or both following discussions? All too often people are encouraged to transfer people from wheelchairs when options are available for non-transfer. This decision is probably made on a cost basis rather than the most appropriate piece of equipment. We were recently told by a wheelchair user ‘that the wheelchair is part of them’ and we should therefore try and accommodate this as far as possible. If there are people in the building who have disabilities, then choose the correct type of chair to assist them as it will then be possible for non-wheelchair users to use it, with an on-site manual chair. It does not work the other way round! It is not ok to say ‘we have a fire lift and therefore don’t need evacuation chairs’, as you still have the problem of lift breakdowns and no means of escape or general travel up and down stairs. Basement evacuation – powered is the way upwards, as it negates manual handling and it is far safer than carrying a chair upstairs, with the risk of slips, trips and falls! Cost should not be the only or main reason to purchase a certain type of chair nor should it be the reason not to purchase the most appropriate chair. Are they easy and safe for the operator to use and safe for the occupant? A university is insisting that a student with Duchenne Muscular Dystrophy and a wheelchair user should transfer to a manual downward only skid type chair. The student’s mother contacted us as we are the importer of the Sunwa range of products and supply the Super Trac. The Super Trac would mean that the student is still be able go up and down stairs and once out of the building the student would be able to go about his business as still in his wheelchair. What would the student sit in when evacuated from the building? How long would he have to sit in the incorrect position and in an unsuitable chair? When would he have his powered wheelchair back? I know in an emergency you shouldn’t take things with you but I don’t think this means wheelchairs! The student should have the most suitable piece of equipment. How many cases are there when the correct piece of equipment isn’t offered, known about or purchased? A special needs school reassessed their needs for access and evacuation equipment. They had downward only evacuation chairs and a normal lift but realised that they would have major problems if their lift was out of order, as they relied on it heavily for students to go up and down stairs. A demonstration took place at the school showing SwallowEMP’s range of products so that they could choose the correct pieces of equipment to cater for their student’s needs. 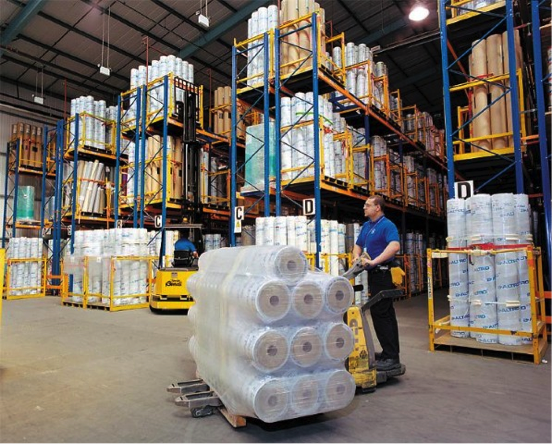 They chose a selection of equipment and the beauty of the equipment is that it is easy to use and the equipment does the work, not the operator thereby reducing manual handling and giving access and egress for all. SwallowEMP have the most comprehensive range of chairs to suit all needs and we pride ourselves on providing the best solutions. Do give us a call before decisions are made as we can show our range of suitable products at the site and discuss your requirements. The official USHA Estates Specialist Group met for the first time on Friday 11th April at the Eversheds offices in Leeds. The event was kindly supported by the HSE, Eversheds and over 40 delegates from University’s across the breath of the country from the University of Portsmouth up to the University of Edinburgh. The meeting saw a number of excellent presentations. A legal health and safety update from Evershed. This brought to fruition the current trends in the legal system. In particular prosecutions focusing on individuals and fines imposed taking into action a company’s financial position. This followed by a presentation from the HSE, which focused on the practical application of the revised L8 and technical guidance. In contrast to a very formal legal perspective from Eversheds and the HSE, focus was given to practical application with respect contractor and asbestos management. The University of Edinburgh and the University of Leeds gave an overview of how they practically managed contractors working on Campus, very much two different approaches, however, both achieving excellence. The Universities of York, Manchester and Imperial College London gave an overview on their very different styles and techniques too effectively asbestos management, which stimulated discussion for the sharing of best practice across the group. With the USHA Estates Specialist Group being very much is in its infancy, an open discussion ensued to draw out what delegate wanted from the group. Moreover how we can move the group forward together to achieve best practice across the HE Sector. • Want makes a supervisor / maintenance manager competent to manage gas, legionella extra – could the group set a minimum standard as guidance. • Available databases to support the management of information, testing, inspection regimes to enable effective compliance against current statute. • The development of effective links with AUDE and Maintenance Management Groups, with the possibility of the USHA Estates Specialist Group providing safety master classes. • A mechanism to provide support health and safety professionals in HE Estates who feel isolated. • Effective sharing of information and best practice between members. • Possibility of peer reviews within HE removing the new for external consultants to undertake reviews and audits. • A voice on behalf of the HE Sector in respect to legal consultations effecting or operations. Moving forward the Committee has planned to reflect on the feedback given, develop a proposed terms of reference and direction for consideration by the group to include further seminars, events with the potential of proposed working groups for specific deliverable projects. Being part of this group you can play a major part driving forward change to improve health and safety performance and standards in the HE Sector in particularly Estates and Facilities Management disciplines. Following a visit by Altro Flooring to the University of Nottingham Estate Office, the Midlands Group took up the invitation to have our Spring meeting at Altro’s factory in Letchworth. A number of Midlands Group Universities are based in the region so we felt it was a reasonable journey to make. Altro Flooring is a long established family-run business that manufactures safety flooring for all sorts of workplaces in all sorts of countries across the globe. They supply their flooring to a number of Universities and of course, are keen to do more business with our sector as many of us have new buildings coming on line and on-going refurbishments taking place. The day started off with a presentation by Altro. They gave a summary of relevant legislation, statistics on slips, HSE activity and slip resistance measurement techniques. This was followed by an explanation of the manufacturing process and a factory tour. 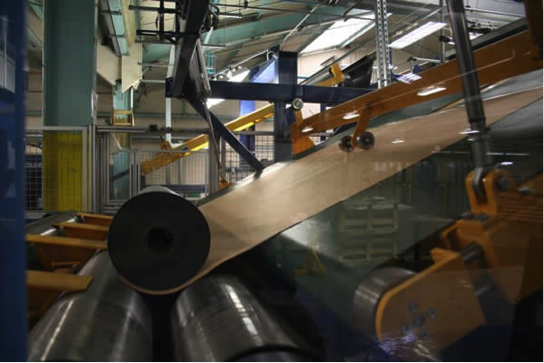 They have worked closely with HSL and are fully au fait with the need to build slip resistance into their products. They are also constantly reviewing the ingredient mix to improve their “green” credentials (they have a new product that doesn’t need adhesive and are able to recycle much of their waste) as well as satisfy the customers’ wishes for aesthetically pleasing products. From the safety perspective, their emphasis was about being careful to specify the environment that the flooring would be used in and being aware that standards quoted by manufacturers and suppliers can be misleading….who would think that a standard of 9 would turn out to be the poorest level of slip resistance but with the DIN Standard scale, this is the case. They also stressed the importance of keeping floors dry – people don’t slip on dry floors, we all know that, but think about the typical way in which we deal with spillages. Often it is straightforward enough organising for someone to do some cleaning up, perhaps with a mop, but this can spread the contamination further afield and leaves a smear which is actually much less apparent to the human eye than a pool of water. The key thing is that the risk of slipping is as high on a very wet floor as it is on a slightly wet floor (we have found that to be the case with measurements we carried out at Nottingham)….so the message was, look at how you can achieve a dry floor as soon as possible or keep people away from the contaminated area. The final thought from the safety perspective was the floor cleaning – making sure that the right products were used and in the right way. Altro advised finding out from the floor suppliers what is required and then ensuring domestic staff are included in any briefings or training. A “one product cleans all“ approach is unlikely to be helping when it comes to minimising the risk of slipping. All in all, it was a useful morning which we followed up with our usual business meeting in the afternoon. We have extended our thanks to Altro for allowing us to look at their facility and for their kind hospitality. University of Brighton Undergraduate Safety Placement Students Natasha Gates and Ben Hadman scooped a ROSPA Silver Award for an innovative project to improve staff engagement and safety notice boards. The ‘Keep Talking Safety’ Project brought an up-to-date approach to an old problem, how to engage staff and students and improve the arrival aesthetic in buildings. 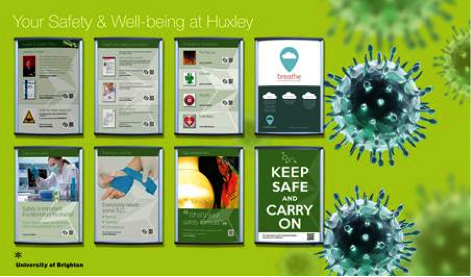 New safety and wellbeing way finding boards were developed and utilising eye catching designs and incorporated both Quick Codes and Near field technology (NFT), enabling for the first time a means of tracking how information is accessed. I would recommend the benefits to any Safety Department what an undergraduate placement programme can bring and would be happy to provide any advice if anyone is considering setting up a programme and hope that in the future we can establish a national student safety placement network. Stephen Mackenzie Senior Fire safety Officer at Kings College London who is moving on to a new appointment in the defence sector. Addressing the seminar will be the Chief Executive Officer of the Association of Specialist Fire Protection Wilf Butcher as well as Brian Martin from the Government Building Control & Fire Safety at the Department of Communities and Local Government. There will be presentations on: Lakanal lessons and application to student accommodation, residence design - flats versus student accommodation, Fire Safety Induction packages, evacuation systems and emergency procedures, tenant behavioural issues, false alarm reduction and cooking issues. Also at the seminar members will be discussing feedback to a recent survey on Fire Safety Audits. Being new to the University of Huddersfield and the sector I had no idea what to expect. My colleague Gary Wood said ‘You must attend as it will provide you with the opportunity to network and learn more about the sector’ He wasn’t wrong. Having previously lived and worked in Scotland for many years it was ironic that one of the first people I met was Liz Young, and for a change we weren’t in each other’s company hunting the elusive mobile home at Malvern with some mutual friends!!!! The following day I bumped into another person who I have not seen for longer than I would like to admit to, Selina Woolcott. It seems though Selina saw the light before I did and made the leap from Local Government several years ago. So apart from catching up with old friends and acquaintances what did I get out of the USHA Conference? I would say meeting different people from the myriad of institutions represented and having the opportunity to ask questions, listen and check whether the approaches we are taking in some areas here at the University of Huddersfield aligns to other Universities and the sector in general. I liked the format of the conference, the 30 minute speaker slots and particularly the hub and workshop sessions in the ‘after lunch’ slot. There was so much packed into the 2 days including the formal AGM, University of Hertfordshire site visits and the opportunity to use the leisure facilities in the hotel. Congrats to all involved in the conference you did a marvellous job! I’m already looking forward to next year and have it pencilled in my diary. The new Chair of USHA is Allan Watson from Durham University where he has been the Director of the Health and Safety Service for the last 15 years. Prior to that he worked at both Newcastle and Sunderland Universities. He has had a long and active involvement with USHA, from setting up and running HASNET to active participation in numerous working and specialist groups including those that developed the auditing system HASMAP and the H&S Management Guidance for the sector. Allan joined the Board in April 2012 and took over as Chair at last month’s AGM in Hertfordshire. His priority while in office is to ensure that the new Board appointed at the AGM focuses on the strategic priorities developed from last autumn’s Planning Group meeting attended by members’ representatives from the regions, as well as specialist and project groups. Allan says “the Executive Board has been given a very clear direction by the Planning Group on what the majority want to see USHA deliver for its members. The revised programme sets USHA’s direction for a 4-year period. In keeping with our agreed planning process the Planning Group will reconvene in two years’ time, at the halfway point, to review progress and if necessary adjust the priorities for the next two year cycle. At the spring conference I outlined to members a summary of the top ten areas that will be the focus for the new Executive Board in the coming months”. • Specialist and Project Groups – supporting, facilitating, promoting and valuing contributions. • Communication- improving the quality, timeliness, targeting and accessibility of information. • Partnerships & Engagement within the HE Sector – developing productive relationships and exerting influence at the right level. • Production of written Guidance Documents - continuing the production of quality guidance, appropriately targeted, and professionally launched and promoted. • USHA Executive Membership - reviewing the composition of the USHA Executive Board, aimed at wider representation and clearer definitions of roles. • Regional Groups and representatives - supporting regional group USHA representatives and facilitating improved 2-way links between the Executive Board and the Regional Groups. • Resources - consider the future resource needed to take the workplan forward and developing USHA in line with the aspirations of the planning group. • Website - further work on content, accessibility and security. • Promoting H&S to students. • USHA Central Services - resolving the HMRC ‘employment’ issue relating to USHA Central. Allan added, “Those who were not able to make it to the spring conference and therefore did not have the opportunity to hear about the Association’s work plan or to put their views forward are very welcome to get in touch with me. The key areas for the Executive Board are now set based on the majority view developed through the planning process but part of my role is to ensure that the Board remains open to all shades of opinion. If you have something to say or to contribute on the work of USHA, don’t hesitate to get in touch. The latest on occupational health provision in higher education amongst our members. Competitive, financial and other pressures mean that research and teaching in universities, commercial, Government, health sector and other laboratories have to achieve more with less. The 2014 Conference and Awards scheme of the S-Lab initiative will highlight best practice in achieving this through more effective management of science facilities, leaner and more productive lab design, improved processes and workflows, enhanced technical support, and more effective use of IT and other technology. The Conference will be held at King’s College London on September 2-3 2014 and will provide a unique forum for key stakeholders such as science managers, estates and facilities, technical support, specialist services, suppliers and others to hear the latest developments and to network with a wider range of people than they normally experience. The Awards scheme is in its third year and recognises good practice and innovation from around the world in a range of areas, including design of new and refurbished laboratories, laboratory effectiveness, laboratory environmental improvement, laboratory informatics, best new laboratory product and other areas. Past winners of the UK categories are Edinburgh, Liverpool, London South Bank, Loughborough, Manchester, Newcastle, Plymouth, Sheffield Hallam and St Andrews Universities; Imperial College, London; Oldham Sixth Form College and University College, London. The winners of the 2013 International categories were the New Zealand Forestry Institute and the University of California, Irvine. The closing date for applications is 3 February 2014. S-Lab is a response to the need to create more effective laboratories arising from financial, customer, user, regulatory and other pressures. It has been mainly funded by the Higher Education Funding Council for England (HEFCE) and the Scottish Funding Council (SFC) and has its centre of gravity in universities. However, it now has growing involvement by commercial and public sector laboratories. S-Lab outputs include assessment tools, benchmarking, best practice dissemination, networking and other activities. They provide a unique opportunity for different laboratory stakeholders to learn from each other, and to engage in cross-functional and strategic thinking about their activities. For more information see the S-Lab section of www.goodcampus.org. The HSE have now published the 6th edition of the COSHH ACOP. One big change is the removal of the Appendices with information on controlling exposures to carcinogens and asthmagens, which have been simplified in the ACOP section to Reg 7. The HSE have also revised and published the second edition of the DSEAR ACOP. The new version has simplified the previous 5 ACOPs and the ones on storage, maintenance, control and design have been withdrawn. Birmingham is a member of the 24-strong Russell Group of research-led universities. Always a solid top-30 performer in domestic university rankings and well inside the top 75 globally, it has been moving steadily higher in recent times. Awarded to Coventry which has demonstrated more innovation than any other university since it became clear that higher fees would usher in much greater competition between universities. It was among the first provincial universities to offer courses in London and then took its rivals by surprise by opening its own university college in 2012 as a cut-price option for people who do not require the full student experience. St Andrews has been recognised for its academic results, its global reach and the student experience. Scotland’s oldest university, and the third oldest in the English-speaking world, has seen its standing rise domestically and globally – up 10 places to 83rd in the QS world rankings – and it continues to raise its game. It’s the institution’s serious academic credentials, from the quality of teaching to ground-breaking research that put it on the map here and abroad. St Andrews was also shortlisted for the UK University of the Year award, won by Birmingham. These awards are for the best universities in each of 64 subject areas. They are based on student ratings for teaching, assessment and feedback as well as facilities and overall satisfaction, allied with the most recent research assessments, graduate prospects and course entry standards. Cambridge leads the field in 34 subject areas, followed by Oxford with 10. All course fees will include expert tuition, course materials, access to online documents, exam fees, administration, revision day with practical briefing and tutor support, refreshments and no VAT. 1. NEBOSH International General Certificate course. To be taught in traditional day release format on 9th, 10th, 11th, 16th, 17th, 23rd, 24th, 30th January and 6th, 13th, 20th, 27th February with revision day on 3rd March all at New Southgate, then a practical for one day only if desired at Hendon on 4th March and the written exams to take place on 5th March 2014 at New Southgate. This costs £1,450 per delegate. Please note: This is the International version of the popular NEBOSH General Certificate course (NGC) which we are holding in January 2014. This is accepted for the UK market as well as the global market. The only unit which is different is the first unit which is international in flavour although codes of practice and guidance are given using UK models. The other two units are the same exam as the NGC. This course is suitable for people with fire safety responsibilities at work including those who carry out fire risk assessments and work to prevent loss of life and property. It will enable you to help design a safer workplace with legal compliance. To be taught in traditional day release format on 9th, 16th, 23rd, 30th January, 6th February with revision day on 3rd March all at New Southgate, then a practical for one day only if desired at Hendon on 4th March and the written exams to take place on 5th March 2014 at New Southgate. This costs £750 per delegate. Please note: For this course, you must have passed NEBOSH Unit 1 in the last 5 years because we will not be teaching it at this time. This course will provide specialist knowledge on environmental management, legislation and standards and is a globally recognised qualification. Please note: There are no pre-requisite exams which need to have been passed to attend this course.